Each time there’s a Pacific Rim teaser, trailer, or feature, it makes me happy. I am super stoked about this movie coming out on July. Robots versus monsters. This poster is enough to make me go watch the movie. They just released a new feature (see full post) where the director talks about how they did the sets. They just don’t make good monster movies these days. Maybe Godzilla… nah.. not that, P-Diddy’s “Come with Me” was the only good thing to come out of that movie. Ok, King Kong fighting dinosaurs was pretty awesome. 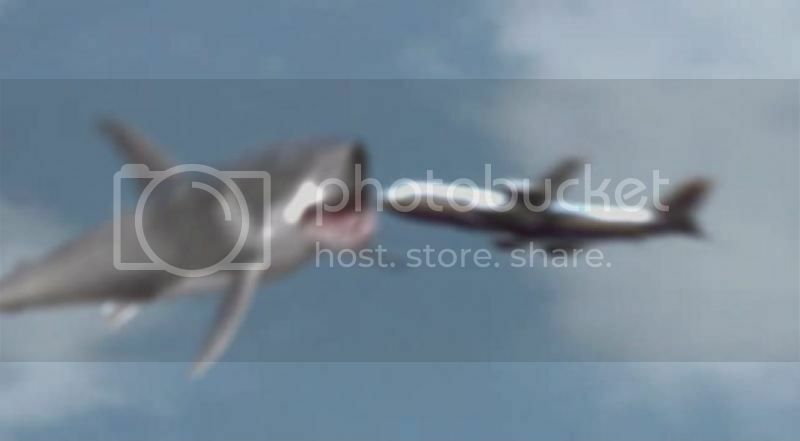 Dragon Wars was also pretty ok. Then Mega Shark vs Giant Octopus was entertaining (see screenshot below of shark jumping up to attack a plane). Coming back to Pacific Rim, Director Guillermo del Toro put it best when he said, “This is something that you wanted to see when you were 11 years old”. Well, 11 year old Druce never had the chance to watch this so the world still owes me this movie. So come July, get ready for some monster tackling, rocket punching, apocalypse ending action. Pacific Rim is from Legendary Pictures and it comes out in July here in the Philippines.